The CAS and its members made their marks in Asia promoting the actuarial profession. Pictured, left to right are Yefu Kou, a professor in the CUFE Actuarial Department; Prof. Sujin Zheng, dean of the CUFE Actuarial Science Department; Bo Huang, FCAS, president-elect of the CAS Asia Regional Affiliate ARECA; Prof. Hua Zhou, deputy director of the China Institute for Actuarial Science at CUFE; Xiaoxuan (Sherwin) Li, FCAS, chair of the CAS Asia Regional Committee; and Michael Chou, CAS international relations manager. 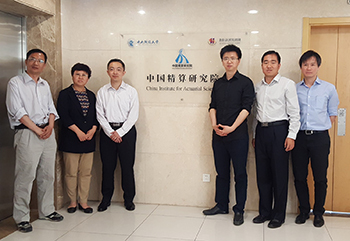 In May the CAS and the Central University of Finance and Economics (CUFE) in Beijing launched “CUFE-CAS Month” to promote the P&C actuarial profession in Chinese universities. The campaign kicked off at the CUFE campus on May 9, 2017. Its goal is to make more students aware of what P&C actuaries do and of the skills necessary for a successful P&C actuarial career. The CAS representatives spoke to CUFE professors and students about the P&C actuarial profession’s global development and its growing importance in China. CUFE-CAS Month also aims to foster communication and build relationships between the academic and practitioner communities. Sheen Allen talks to DUT Students. CAS University Liaisons are committed to expanding the CAS’s influence to students beyond the southeast coastlines and developed areas in China. 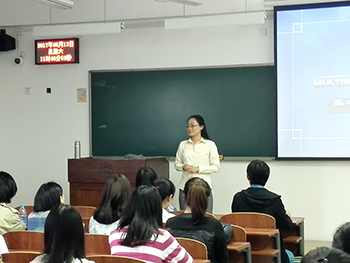 CAS Chinese University Liaison Coordinator, Sheen Allen, visited Dalian University of Technology (DUT) on May 13, 2017, marking the first time that a CAS volunteer held a face-to-face meeting at a university in Northeast China. DUT is located in Dalian City, Liaoning Province, People’s Republic of China. Allen talked about the P&C actuarial profession, daily work, and CAS exam preparation, and she presented an example of a P&C pricing project. Later, she answered students’ questions. To keep the discussion going, a Wechat online group of 70 student and faculty members has been formed for Q&A discussions and job openings in China. The online group also helps students to make the transition from study to work and to further develop their P&C actuarial careers. 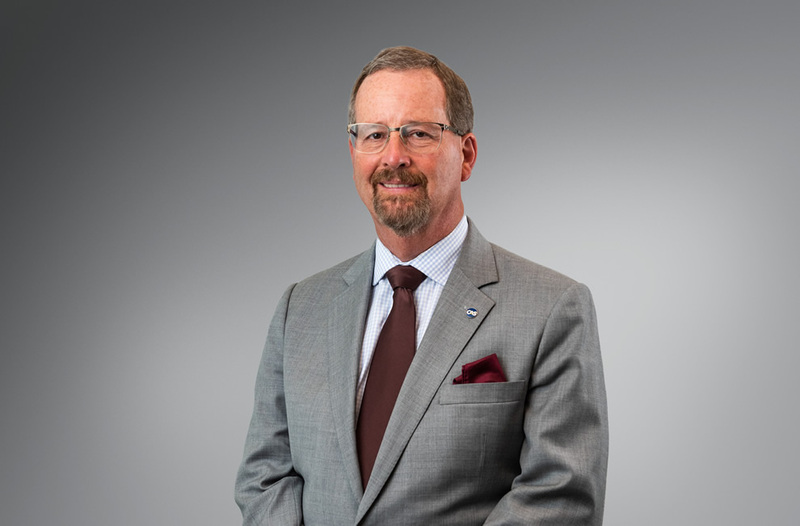 CAS President-Elect Brian Z. Brown on panel. 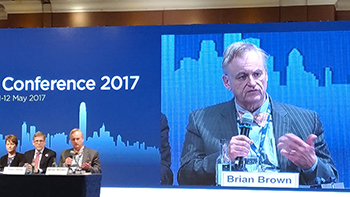 The Institute and Faculty of Actuaries (IFoA) Asia Conference 2017 was held May 11-12 in Hong Kong. A number of CAS members who attended and presented during the conference. CAS President-Elect Brian Z. Brown spoke about the growing demand for predictive analytic skills and the Actuarial Climate Index, a collaboration among the CIA, SOA, the Academy and the CAS. Brown also discussed the expected growth of actuaries in mainland China due to the government allowing more rating flexibility for motor insurance.